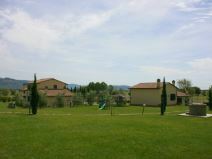 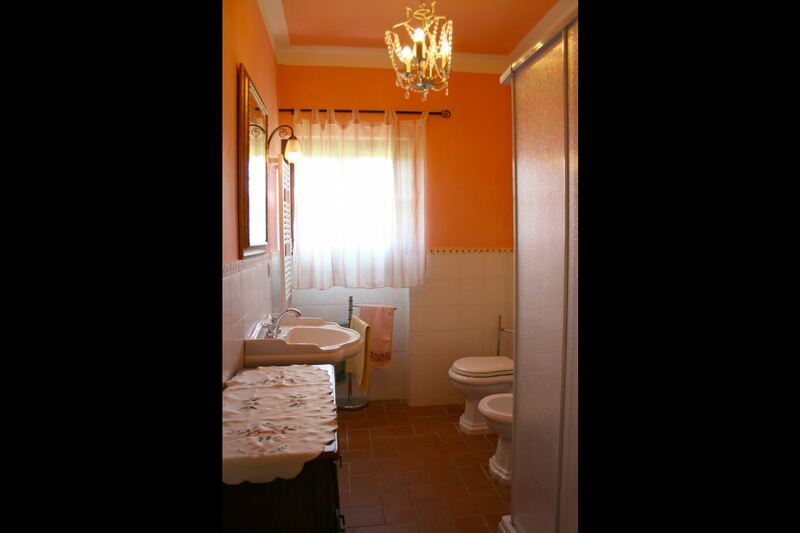 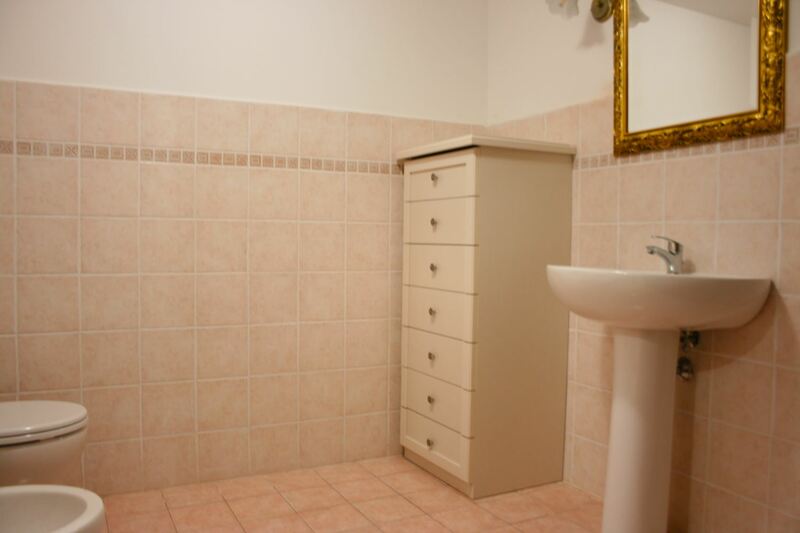 Ground floor apartment with large grassy garden, pool, Tv-sat and air-conditioning. 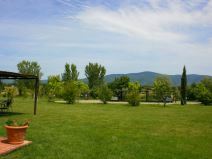 4 km away from the Etruscan town of Cortona. 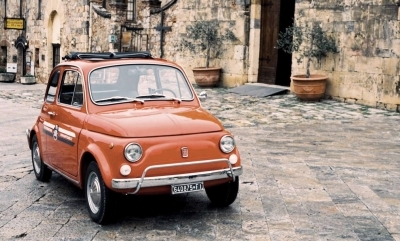 Perfect to move around and visit Tuscany and central Italy. 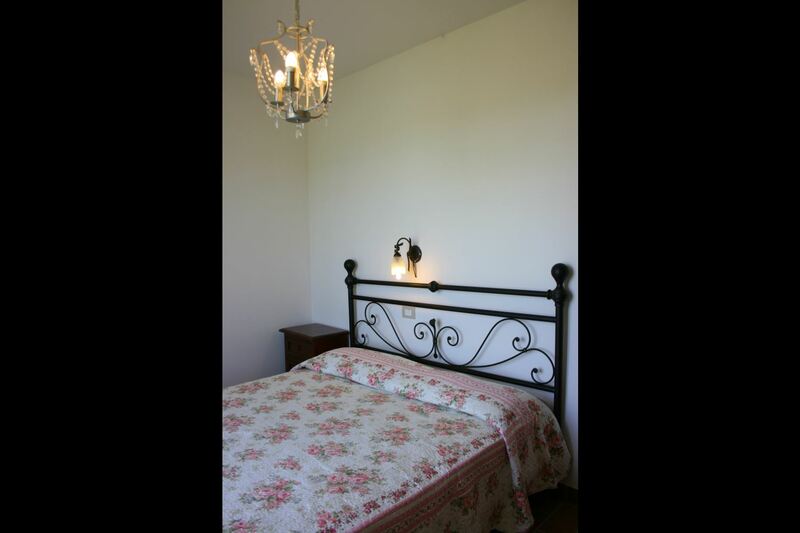 Available for 3 nights rental. 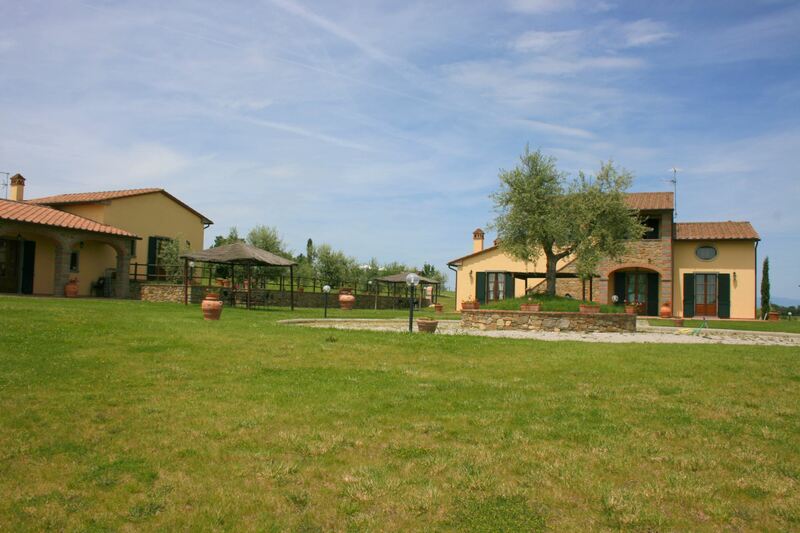 Etruscan and Roman Cortona, a place worth to be seen. 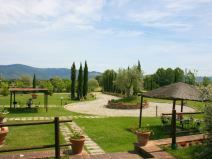 Podere Marcigliano is placed in the valley dominated by the city of Cortona which, 500 mt high, overlooks the east Valdichiana always different in shining colours during the changing seasons. 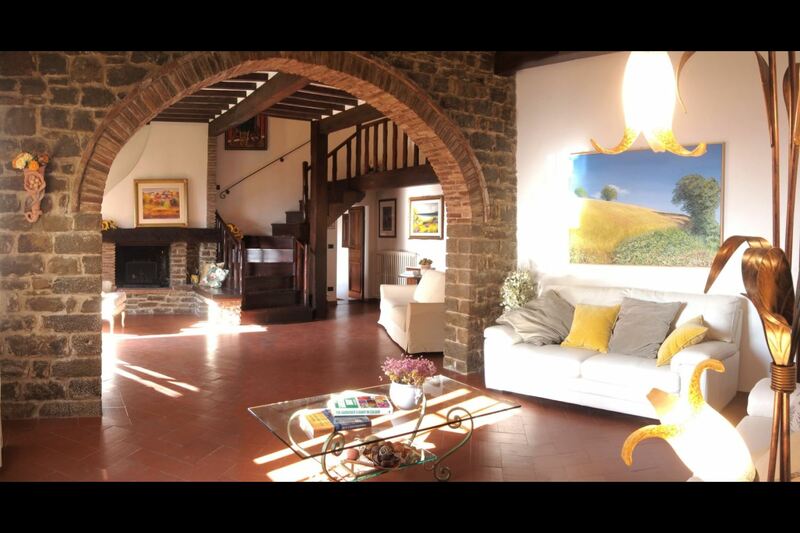 The city, artistically, historically and architecturally worth to be seen, deserves with no doubt an accurate visit. 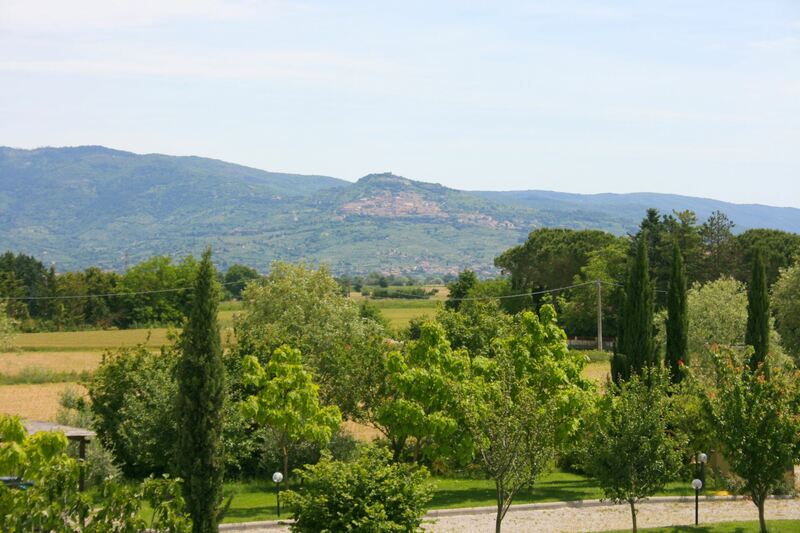 Cortona was an important either Etruscan or Roman city, during the Middle Age it benefited from a remarkable prosperity and from the year 1411 onwards followed the Granducato di Toscana fate. 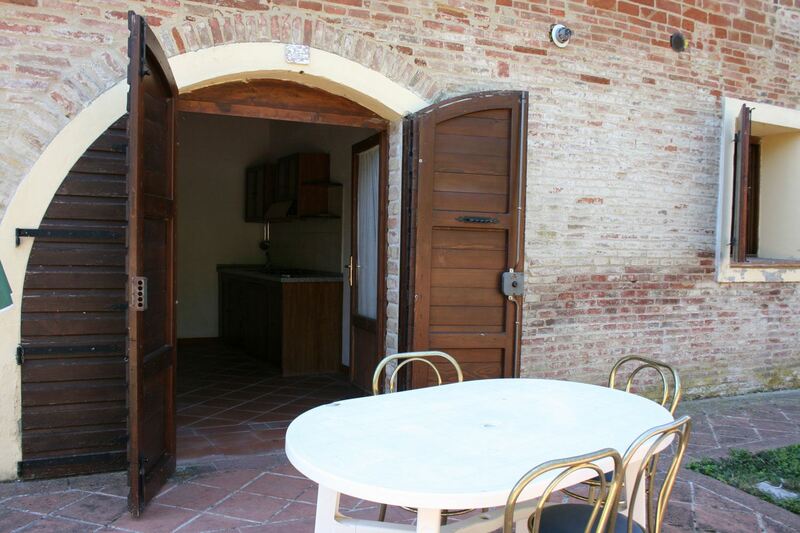 The apartments and the outdoor spaces. 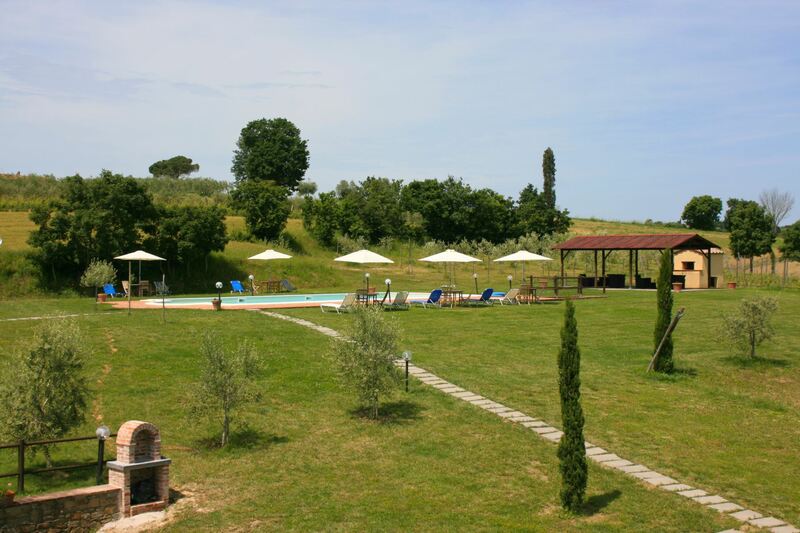 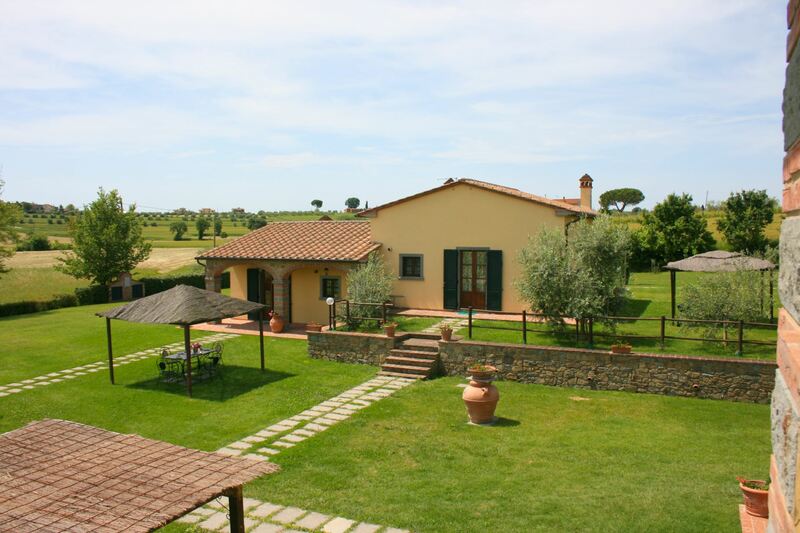 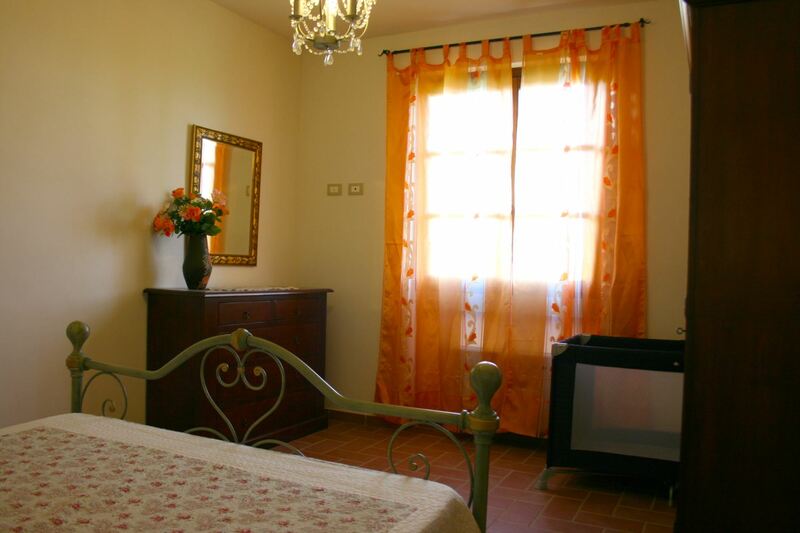 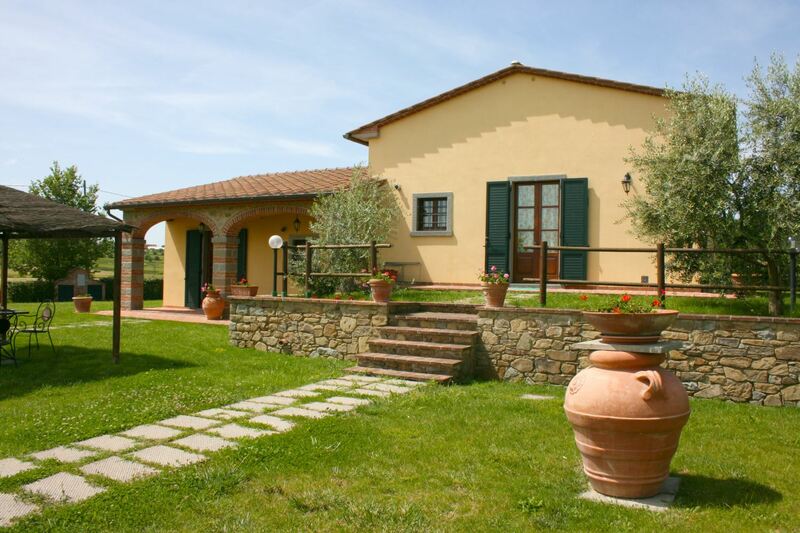 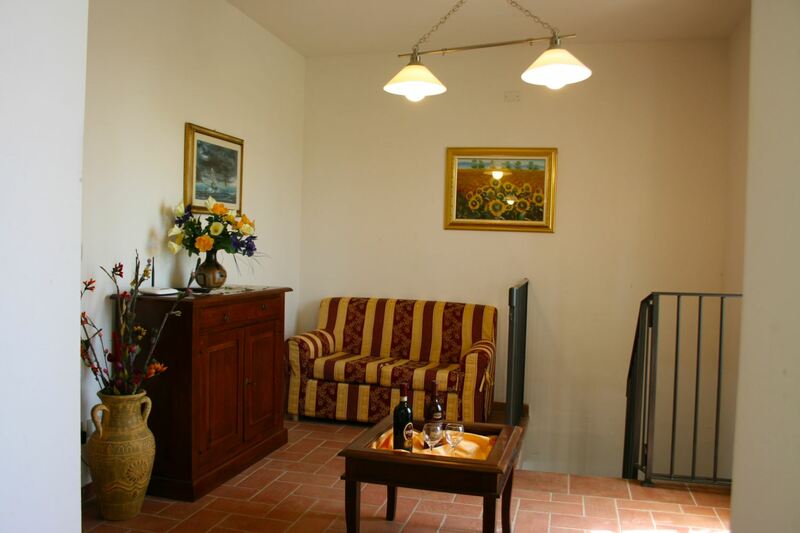 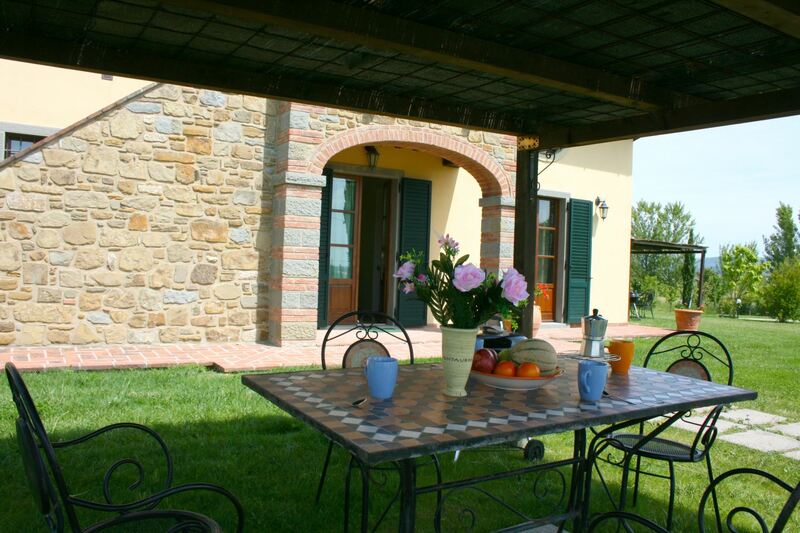 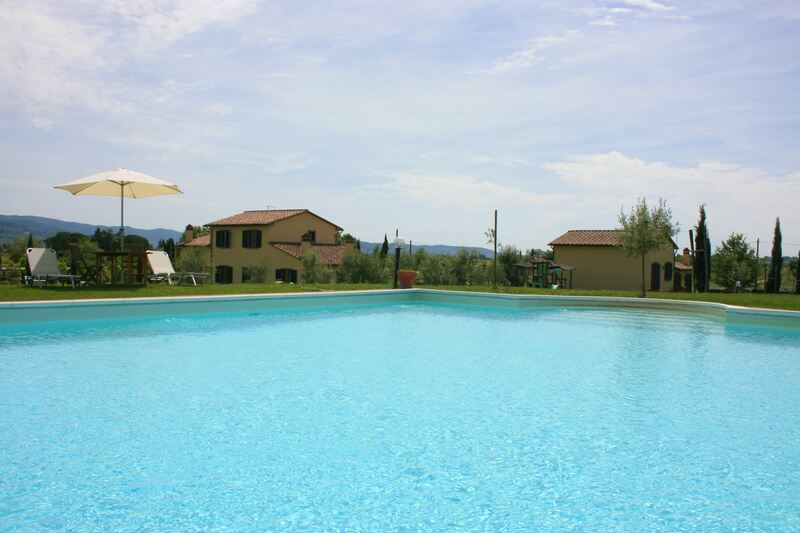 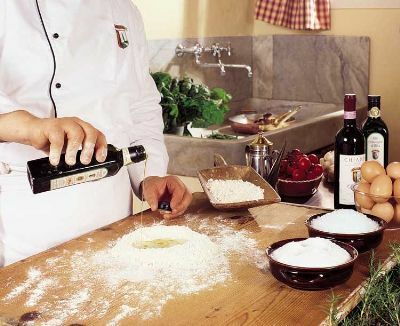 Podere Marcigliano is composed by two newly-built villas. 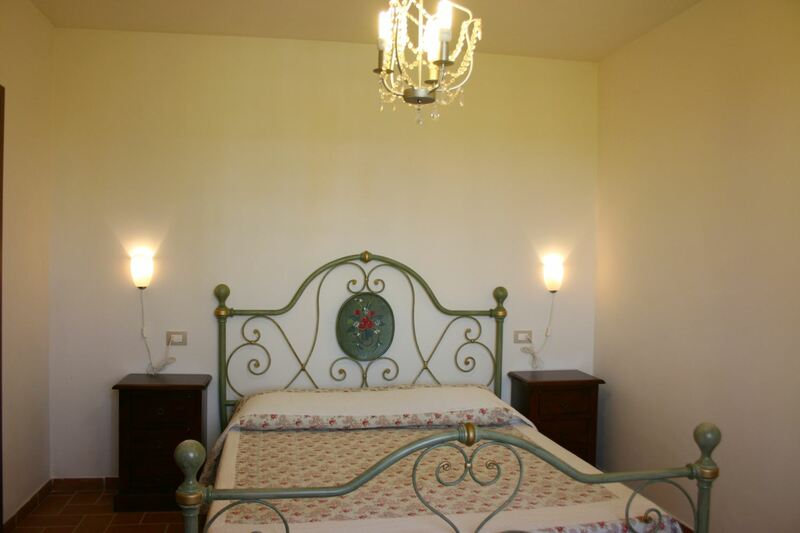 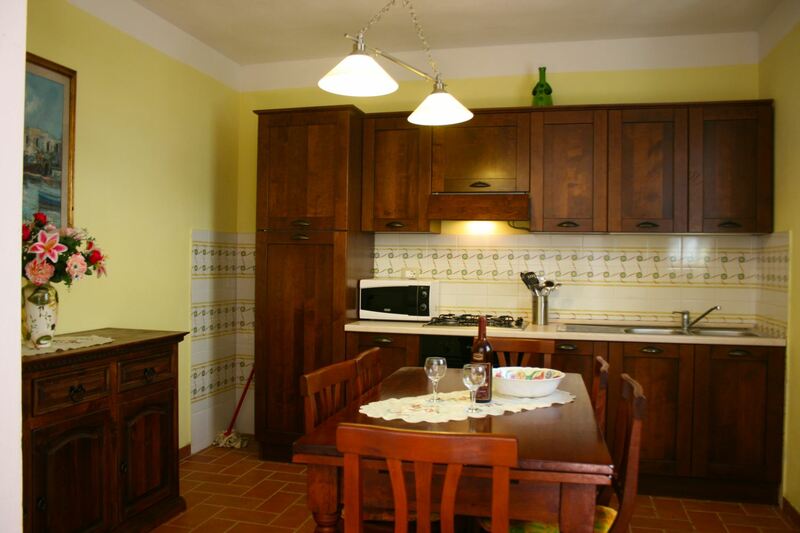 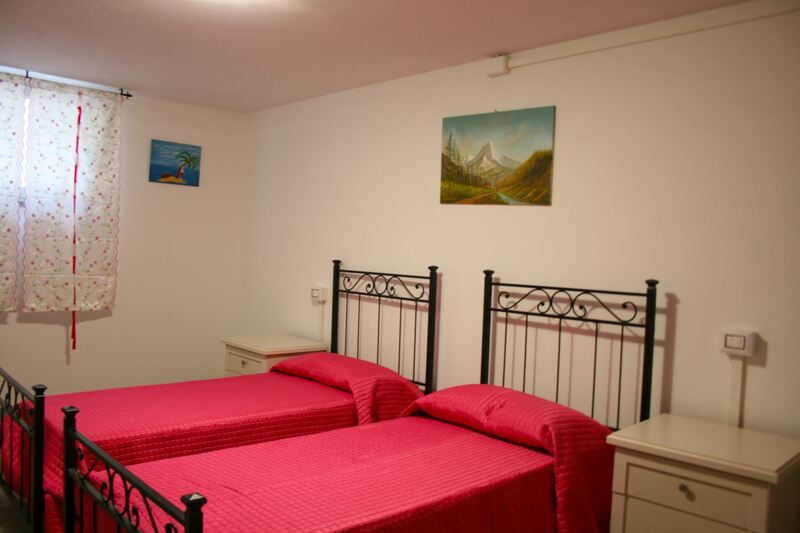 In the first one we find three apartments (Girifalco, Torreone and La Tufa), in the second one there are two other apartments (Corito and Rugapiana) all of them well furnished and endowed with every comfort. 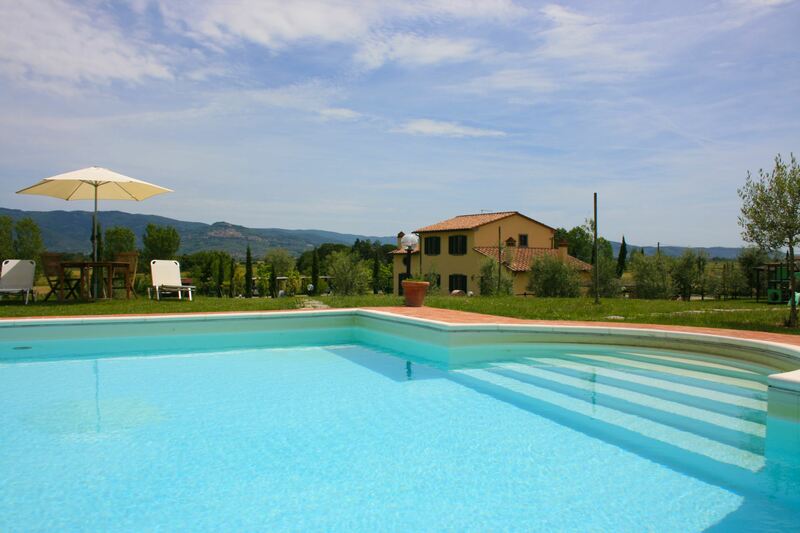 Our clients will have at total disposal a wide green space, a beautiful swimming pool (size mt. 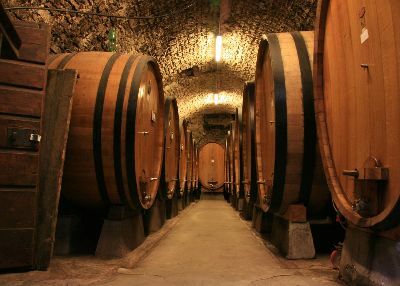 7x14, depth mt. 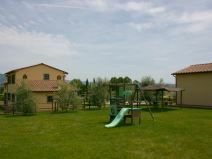 1,50), the barbecue, a communal laundry room and a small children playground. 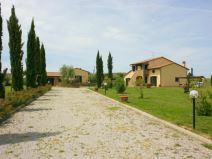 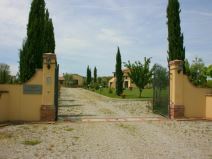 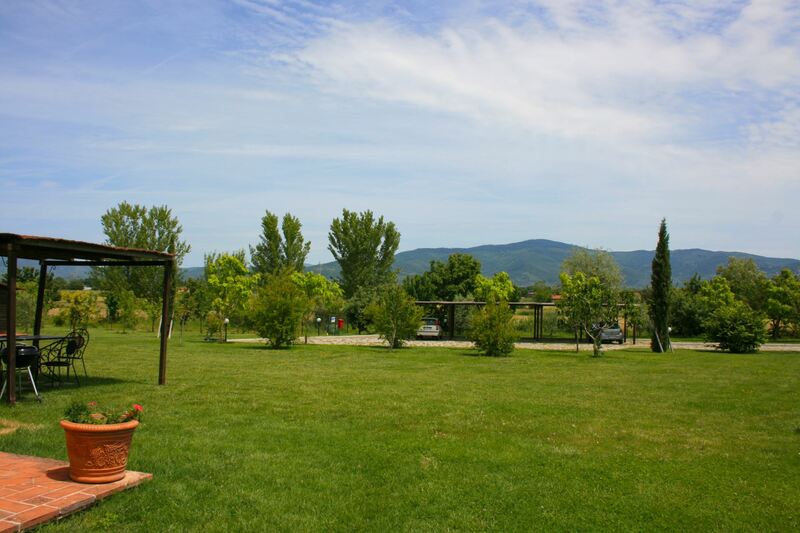 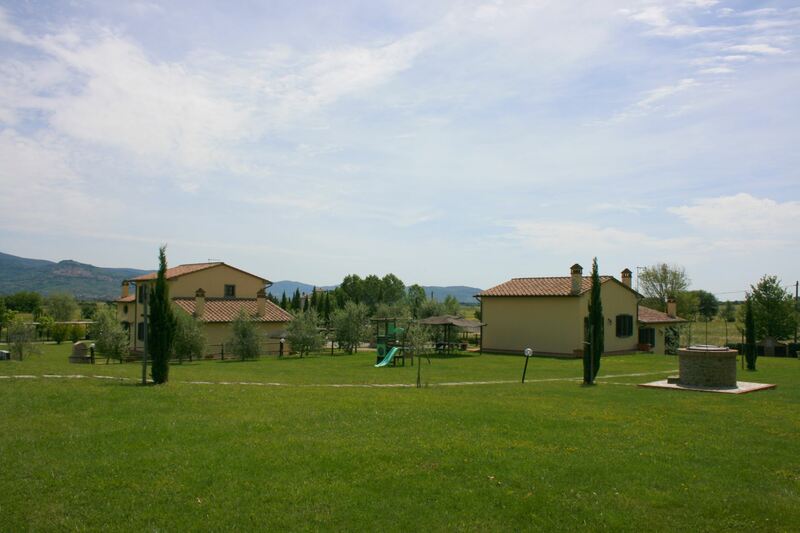 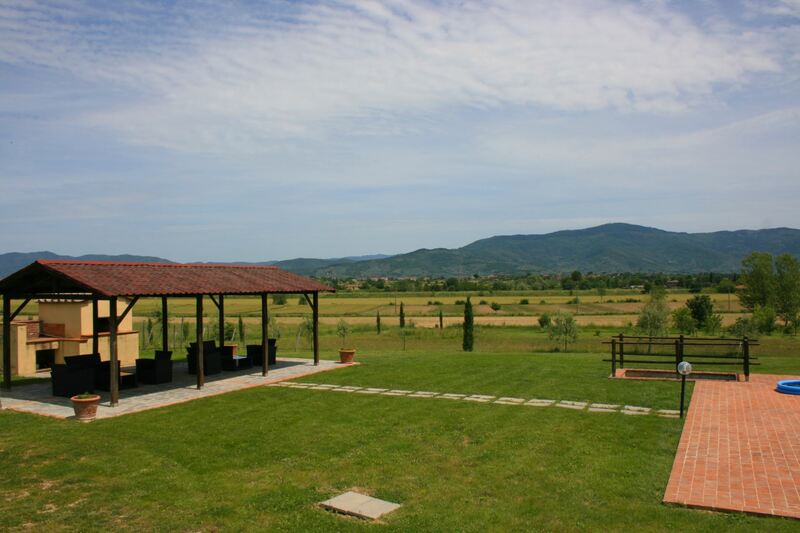 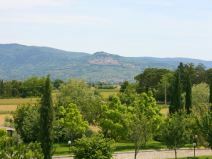 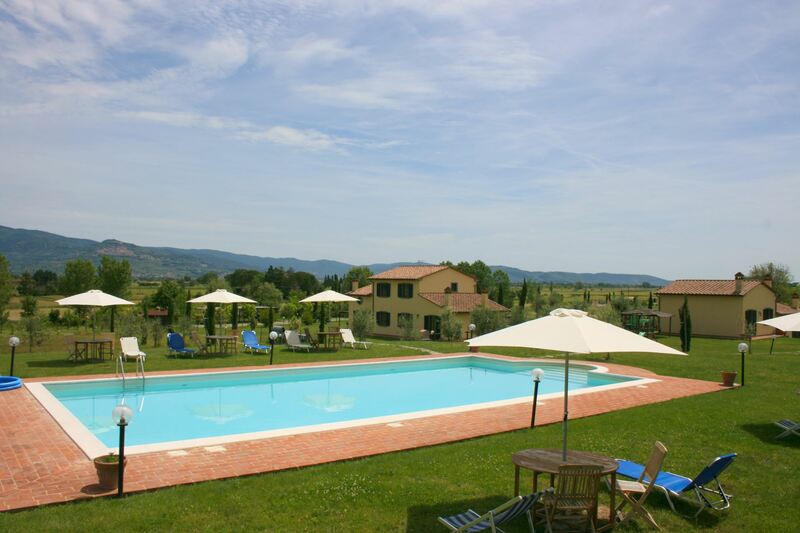 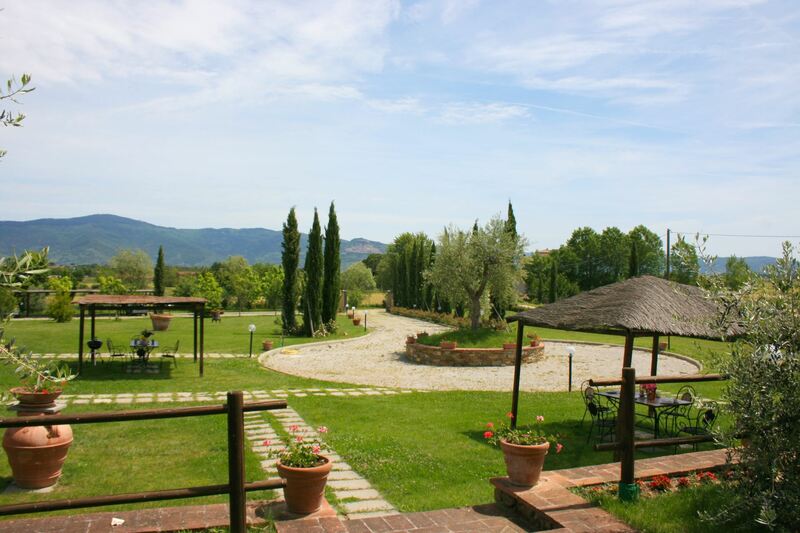 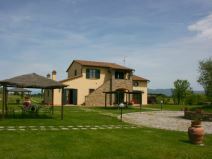 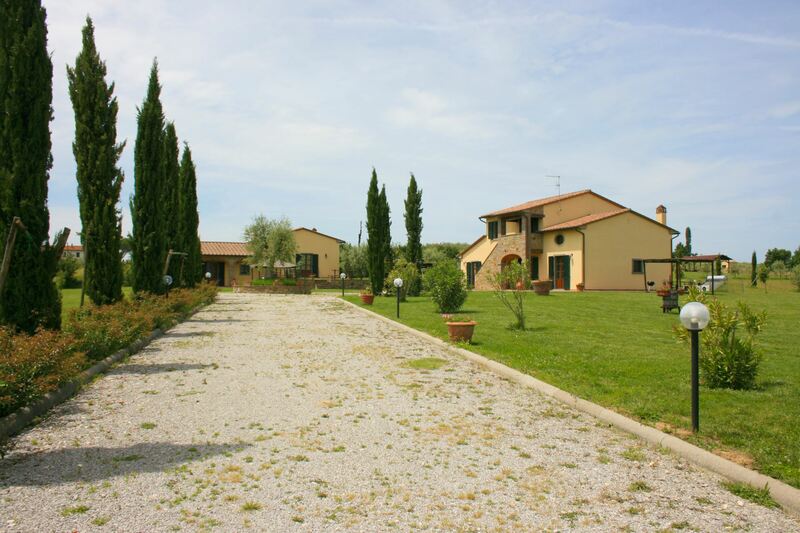 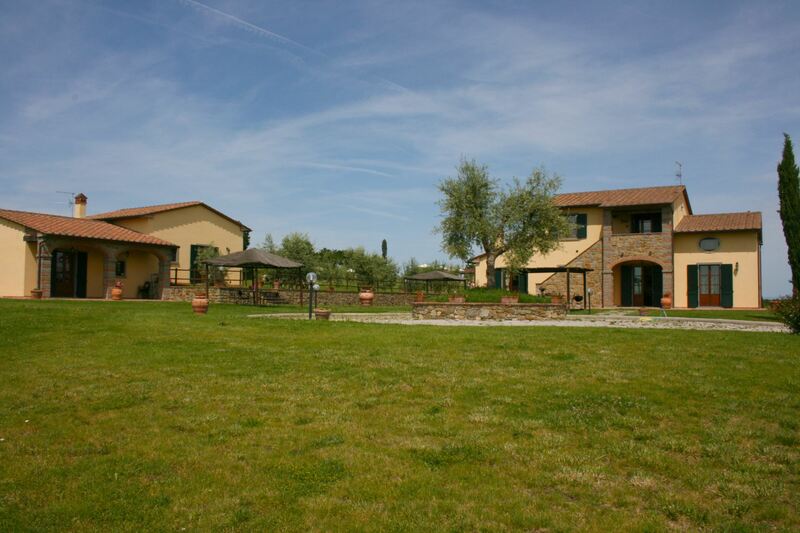 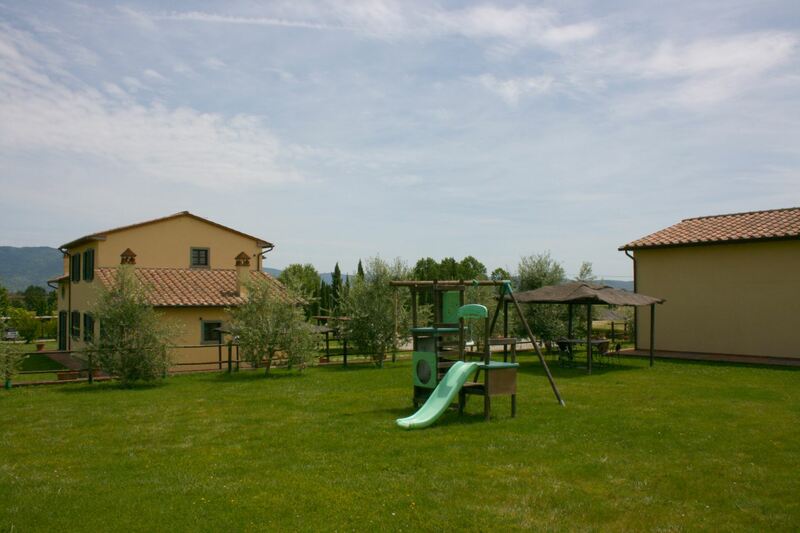 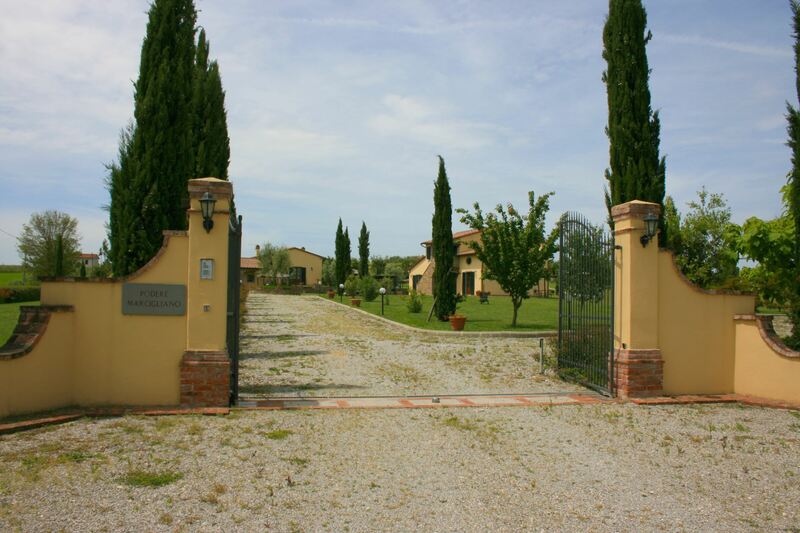 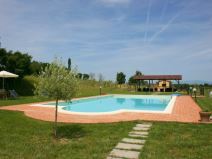 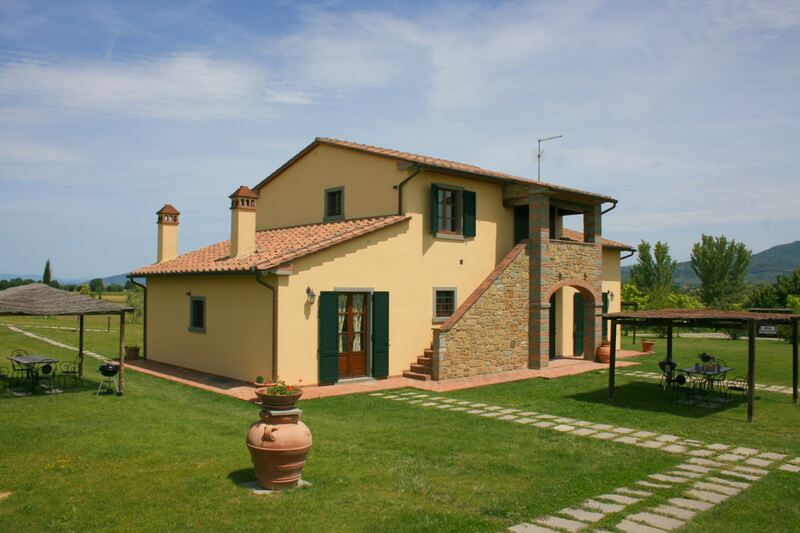 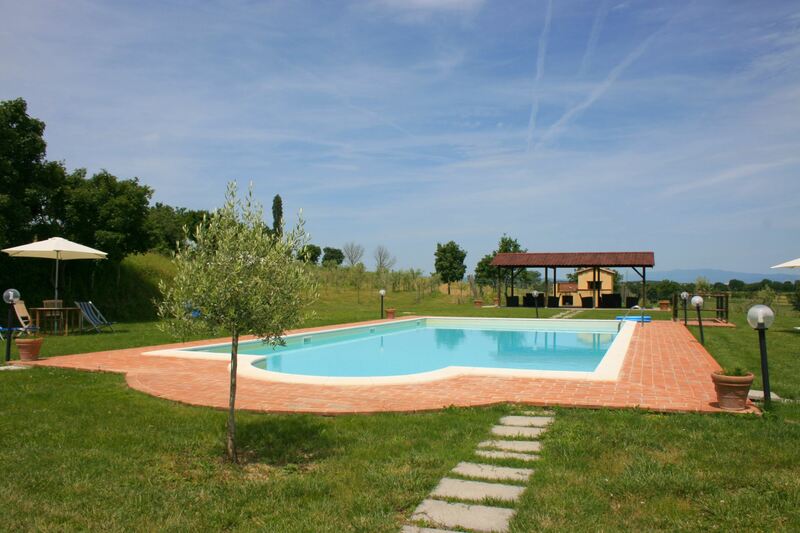 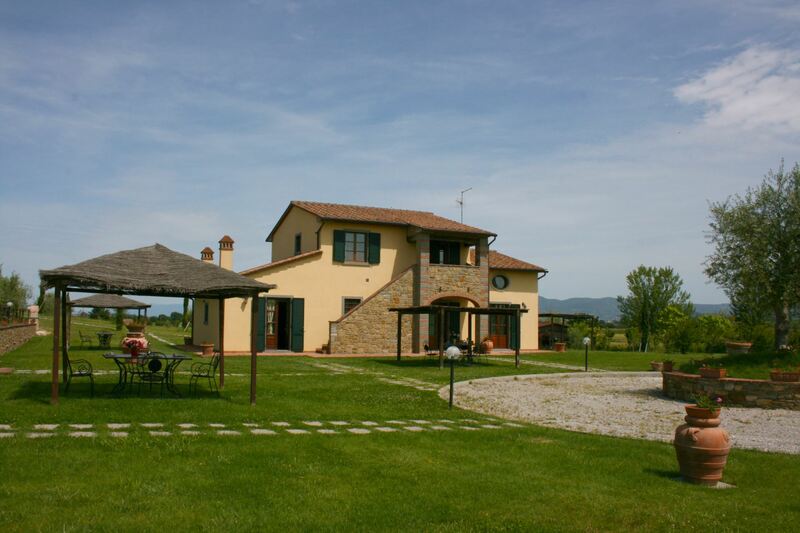 In touch with nature but close to the main cities of Tuscany and Umbria. 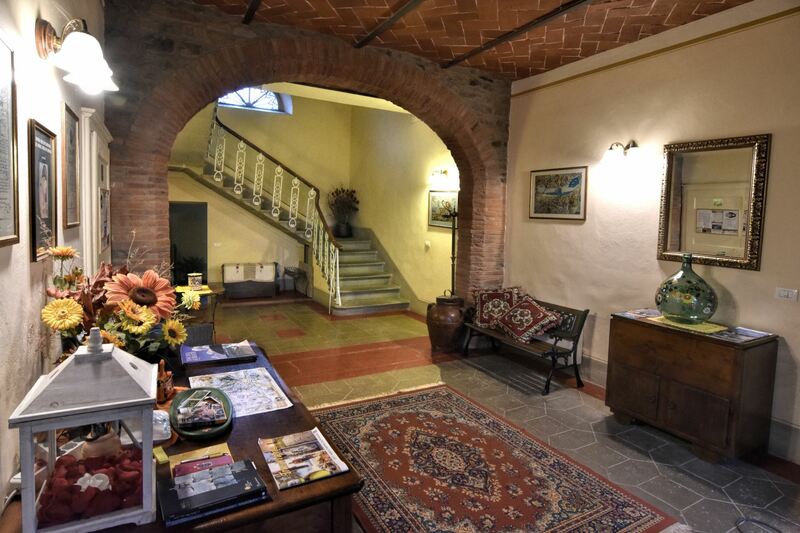 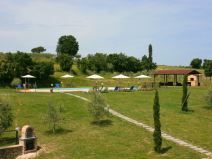 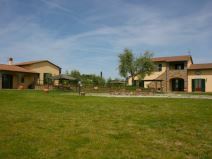 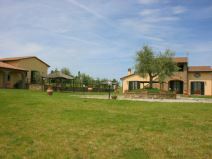 The convenient location, quiet but not isolated, makes of Podere Marcigliano an ideal place where to spend relaxing holidays in touch with nature but all the same not far from the major ways of communication which will enable our guests to visit all the main centres of Tuscany and Umbria. 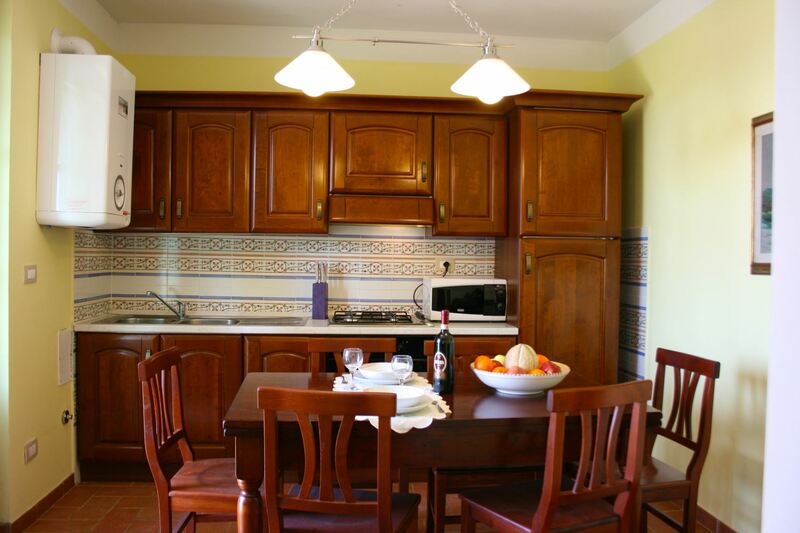 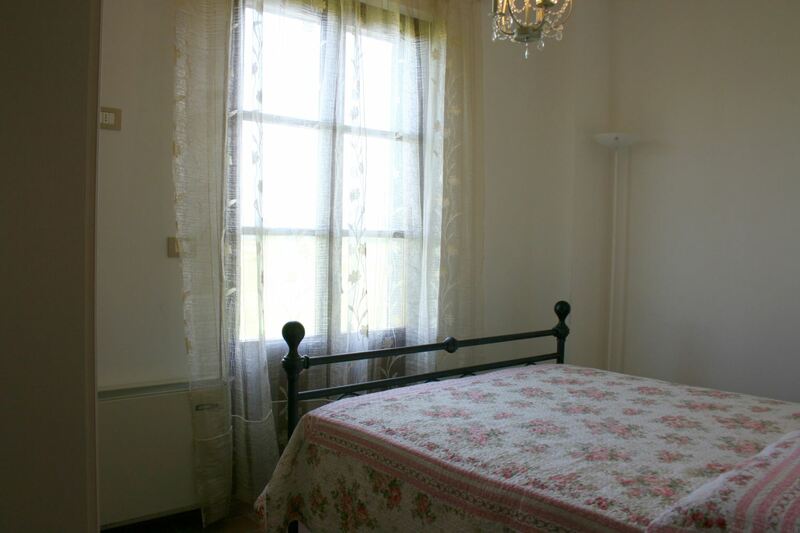 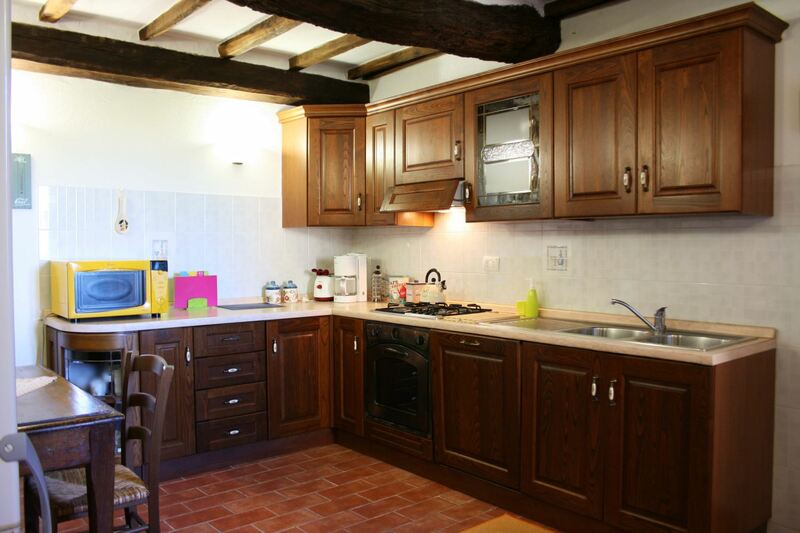 Ground floor apartment composed of living-dining room with kitchen corner, bathroom with shower, twin bedroom with French window overlooking the garden, double bedroom. 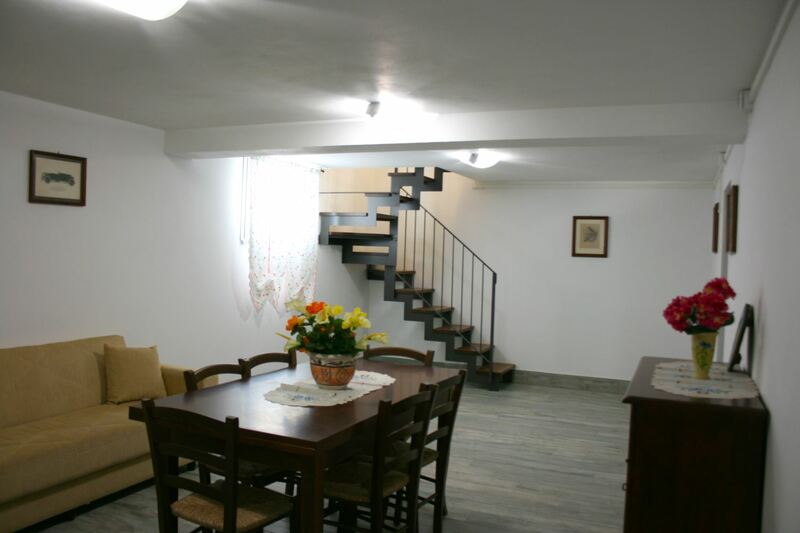 From the living room going down some steps we find a sitting room with double sofa bed and bathroom with shower. 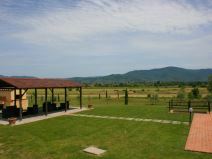 Gazebo furnished with table and chairs to eat outside. 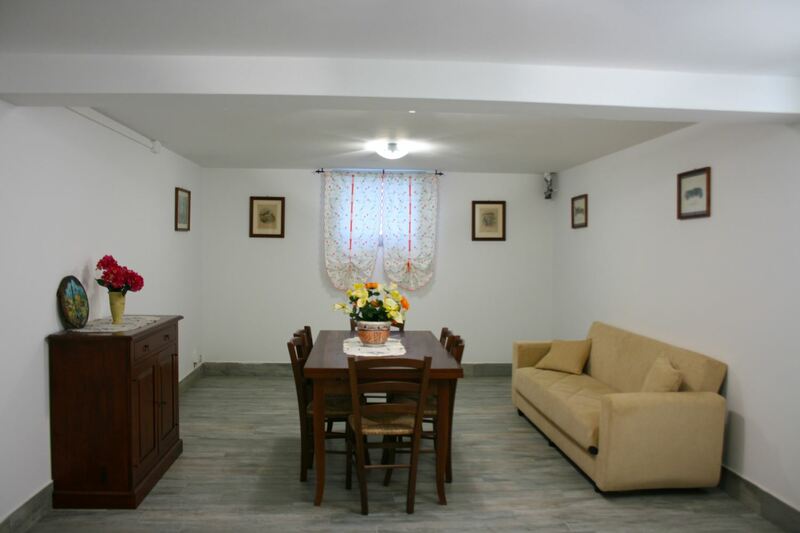 EQUIPMENT: freezer, oven, moka coffee maker, filter coffee maker, toaster, iron and ironing board, high chair, air conditioning, communal washing machine, SAT TV, Wi-Fi Internet access. 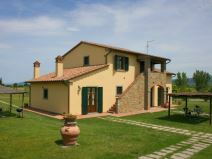 Obligatory final cleaning: Corito and Rugapiana Euro 50 per apartment, Girifalco Euro 60, Torreone and La Tufa Euro 70 per apartment.